May 17th: new beds, amending soil, transplanting, greenhouse! We had to skip meeting on the second Monday in May and so came together again after 2 weeks. What a difference! Unfortunately, it was mostly a difference in weed size. We had a lot of digging to do, especially to reclaim some of the rocky, clay-filled corners of the garden that hadn’t been worked before. 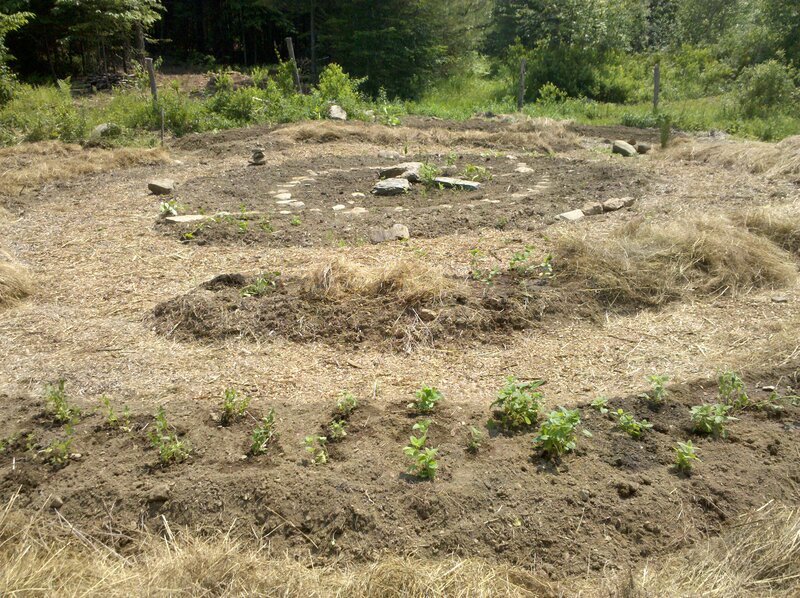 We also had a lot of amending to do–especially in beds that had been home to greedy potatoes–and in others that are just too full of clay for most plants to absorb nutrients or respirate properly. We added tons of compost to improve nutrients and aeration and a bit of wood ash to raise the pH. Medicinal herbs are far less picky about soil conditions, especially pH, than veggies, but we decided we might as well adjust our slightly acidic soil to give them the best environment possible. 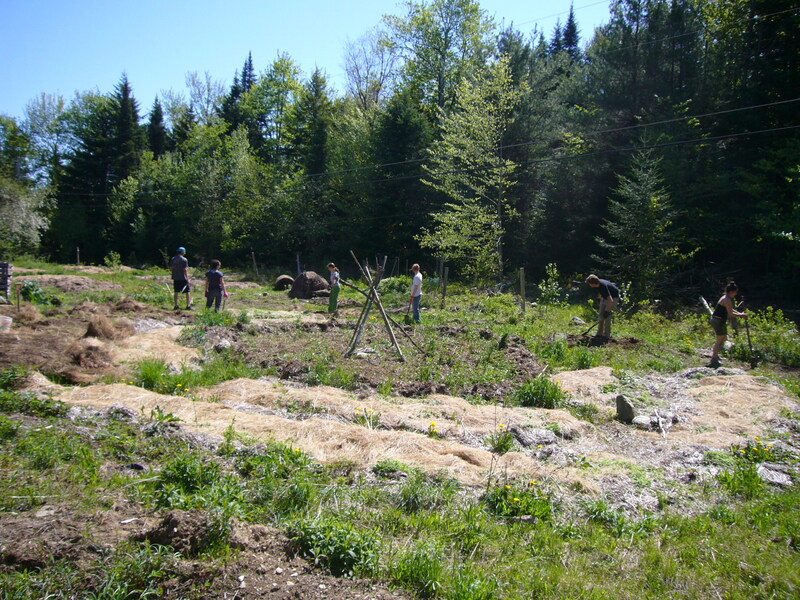 Here’s the whole crew hard at work on those rocky corners and other weedy pursuits.